Blog Can You Get an Injunction to Stop a Threatened Breach of a Covenant Not To Compete? Can You Get an Injunction to Stop a Threatened Breach of a Covenant Not To Compete? Over time, the court has crafted a four-part framework for use in determining whether the grant or denial of preliminary injunctive relief is appropriate. Under this formulation, trial courts must consider (1) the likelihood of success on the merits; (2) the potential for irreparable harm if the injunction is denied; (3) the balance of relevant impositions, i.e., the hardship to the non-movant if enjoined as contrasted with the hardship to the movant if no injunction issues; and (4) the effect (if any) of the court’s ruling on the public interest. Apply a standard fund in the business contract. It is generally undisputed that courts give effect to the ‘law reasonably chosen by the parties to govern their rights under contracts’. A choice-of-law provision will not be honored, however, if its application ‘would be contrary to a fundamental policy of a state which has a materially greater interest than the chosen state in determination of the particular issue. Therefore, a court will analyze the law of both states to evaluate if there is a material difference on the enforcement of a restructure convent not to compete. Validity/Enforceability of Agreement. A second threshold questions the plaintiff is likely to succeed in establishing that, under state law, the provisions of the Agreement and Addendum are valid and enforceable. If Agreement is reasonably crafted to protect the plaintiff’s legitimate business interests in light of an employee’s position with the company and his extensive knowledge of iron’s and it will be enforced. A preliminary injunction as indicated by the numerous more or less synonymous adjectives used to label it is, by its very nature, interlocutory, tentative, provisional, ad interim, impermanent, mutable, not fixed or final or conclusive, characterized by its as-for-the-time-beingness. It serves as an equitable policing measure to prevent the parties from harming one another during the litigation; to keep the parties, while the suit goes on, as far as possible in the respective positions they occupied when the suit began. Trial courts have wide discretion in making judgements regarding the appropriateness of (injunction) relief. The public interest is served by enforcing contractual obligations, including reasonable restrictive covenants, between consenting parties. 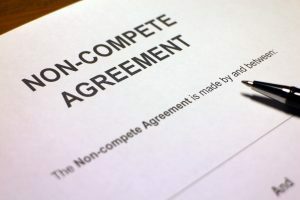 “Enforcement of any covenant not to compete temporarily restricts the free alienability of employees but that alone is insufficient to abrogate a contract or render such covenants unenforceable.